We meet it was by CHANCE. We meet again it was LUCK. We become friends it was DESTINY. 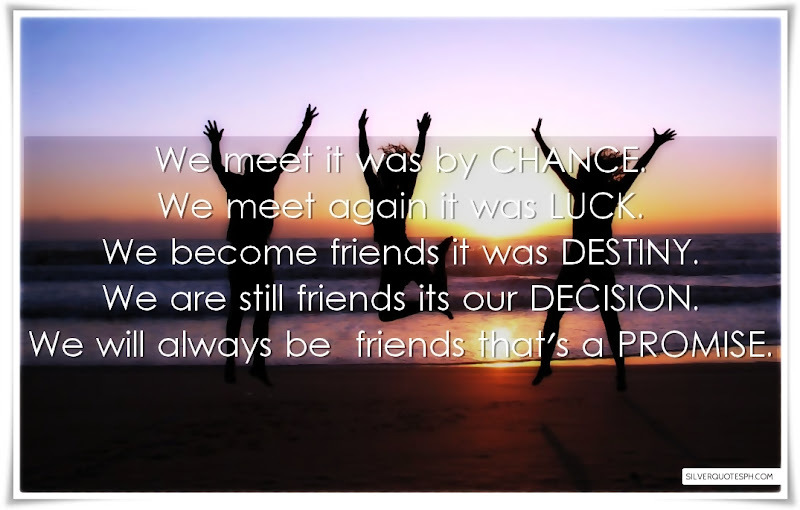 We are still friends its our DECISION. We will always be friends that's a PROMISE.